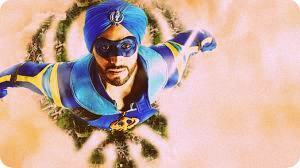 In the month of August this year, a desi superhero movie by the name of 'A Flying Jatt' was released. 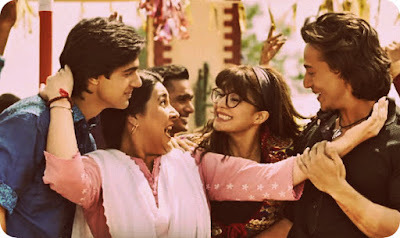 The action film was co-written and directed by noted Indian dancer, choreographer, and actor Remo D'Souza and produced under the banner of Balaji Motion Pictures. Since its release on August 25, 2016, the movie has garnered a box office collection of INR 560 million, which is fantastic to say the least! 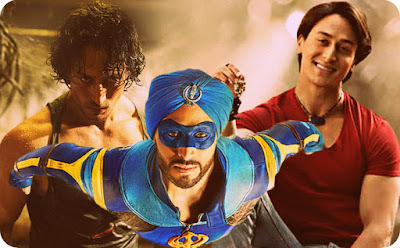 I saw this fantasy Bollywood movie a month after its release, and like others, was mesmerized by its main protagonist, Aman, a meek youngster (played by Tiger Shroff) who is afraid of heights, only to discover his latent superpowers when forced to face the evil Raka sent to destroy humanity. If you haven't been able to watch this flick, good news is in store as the world premiere of 'A Flying Jatt' is taking place today on Zee Cinema at 8 pm. Yes, you heard me! 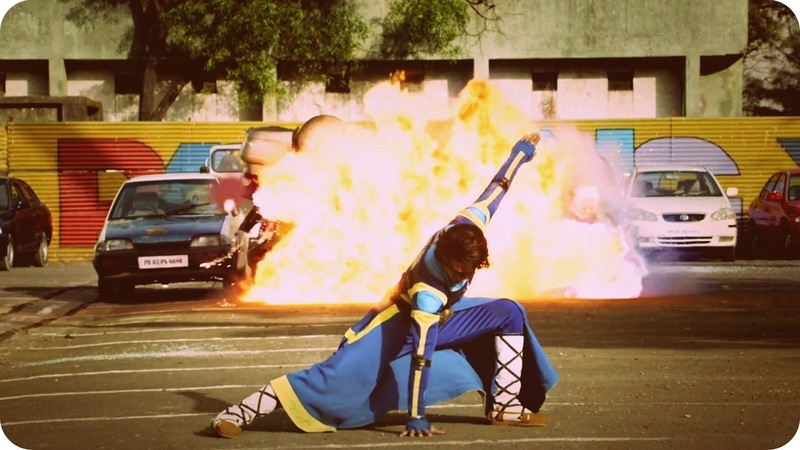 In this blog post, I'll offer you my top 10 reasons to watch 'A Flying Jatt'. With his fluidly lithe movements, our man saves the day in the coolest possible way! 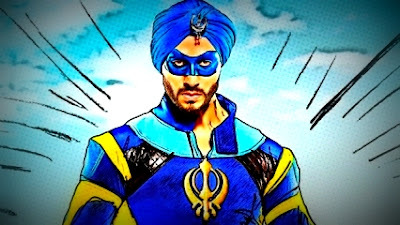 Hail the nation's first flying superhero, who is not only bestowed with an incredible superpower but also the ability to display some jaw-dropping martial art moves. Our superhero also has a supermom (no kidding!). Quite honestly, 'A Flying Jatt' works because it's in fact a film more about the protagonist's Punjabi mother (played by the fab Amrita Singh) than the superhero himself. A supermom who educates her son on flight pose decorum and even sews him a costume enthusiastically. And like any hysterical Indian mother, she too scolds our superhero each time he's reluctant to use his superpowers, constantly reminding him of his duties. I don't think I've ever watched a superhero movie where the legendary superhero possesses both larger-than-life superpowers and killer dance moves. That goes a long way in setting up the superb entertainment quotient throughout the length of this movie. Seeing our man save the world and burn the dance floor at the same time is priceless! Don't forget to shake your booty on the beat of music with this superhero. Suffice to say that at 26, Tiger Shroff is probably the youngest superhero our country has ever seen or produced. 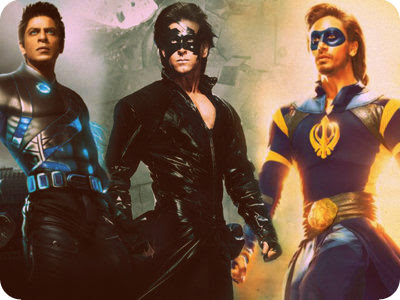 Hrithik Roshan and SRK have also played superheroes in the past; however what sets Tiger apart is his age and charm. Who could have imagined this was his third film post debut! The premise of 'A Flying Jatt' is to share the remarkable story of a superhero who not only believes in saving his men and city but also in fulfilling his prime religious duty of helping the mankind. In an epic buildup to his character, our man is shown to incorporate religious sensibilities with unwavering determination. Our superhero, a bumbling young fellow plagued by insecurities and terrified of confrontation, suddenly discovers these incredible superpowers he never thought existed! Sounds familiar? Well, every person on the face of this planet is by and large a superhero at heart, capable of fighting all odds despite being scared or confused! This superhero is so afraid of heights that he flies embarrassingly low, dutifully waiting for the traffic signal to turn green. 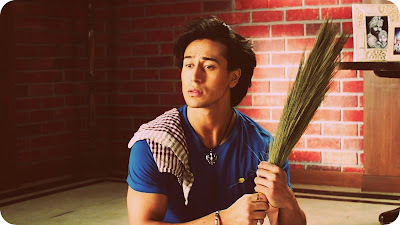 Even at home, he performs all morning chores like your guy next door - from cleaning the house to buying veggies - such irreverent moments make 'A Flying Jatt' a delightful watch. Giving back to the society is one of the topmost agendas for our superhero. By standing for causes like protecting mother nature and condemning pollution, he shows that he is truly a hero with great consciousness. Even with a serious job at hand, our man is a child at heart, making him a fun, relatable superhero. Last but not the least, who wouldn't want to meet such a down-to-earth and humble superhero! 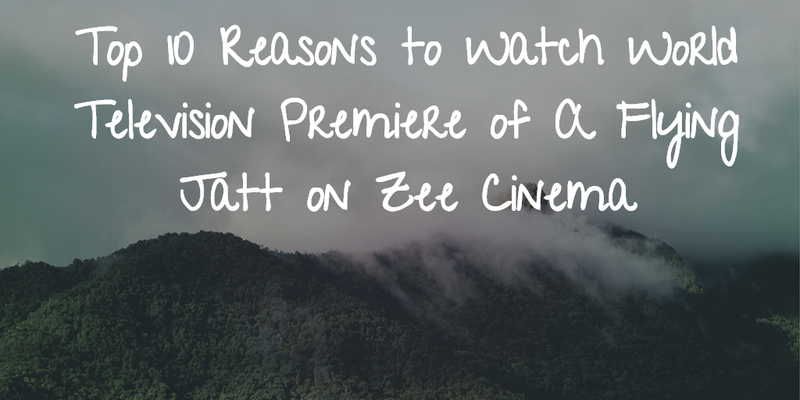 Watch the World Television Premiere of 'A Flying Jatt' on Saturday, October 22 at 8 pm only on Zee Cinema.